Identifying women with anaemia in developing nations. It should be a scandal. Each year 115,000 women and 600,000 babies die in childbirth due to anaemia. The disorder is barely an issue in the United States and the UK, where almost all pregnant women are routinely screened for anaemia. Yet in the developing world only about 50% of pregnant women are routinely screened and anaemia is regarded as an unavoidable fact of life, and often death. Most women never know that simple iron supplements, intravenous iron treatments, or in extreme cases blood transfusions could cure the condition and potentially save them. The solution may yet lie in an exemplary piece of social innovation using digital technology created by a team of students at John Hopkins University in Baltimore. 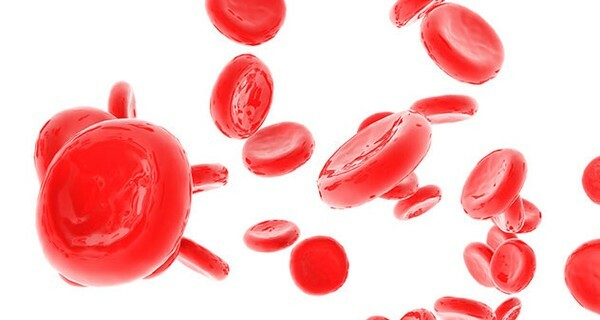 Anaemia is caused by low levels of haemoglobin, a protein containing iron which sits inside red blood cells, which carry oxygen throughout the body. The HemoGlobe turns a cell phone into a light, portable and low-cost haemoglobin monitor. The team realised that to create a simple, low-cost way to detect anaemia they had to eliminate the need to draw blood, which would require a syringe, a trained nurse and a lab technician, working in controlled conditions. So they opted for an affordable form of pulse oximetry, a technique for reading haemoglobin levels by shining light through parts of the body. Pulse oximetry, however, was useless without a way to analyse the data and display it in a form that would allow a health worker to take appropriate action. To do that the team loaded software onto a mobile phone to use its computing power to translate the haemoglobin readings into colour graphics – green for mild anaemia, yellow for moderate, red for severe. Now rural health workers in Kenya, where HemoGlobe was conceived and launched, can carry a lightweight haemoglobin monitor which can transmit its data back to a central server to contribute to a national picture of the incidence of anaemia. The HemoGlobe offers to create a national anaemia screening programme at very low cost by piggybacking on the mobile phone network.